Juliette Contrast Sweater Just $18.99! Down From $50! Shipped! 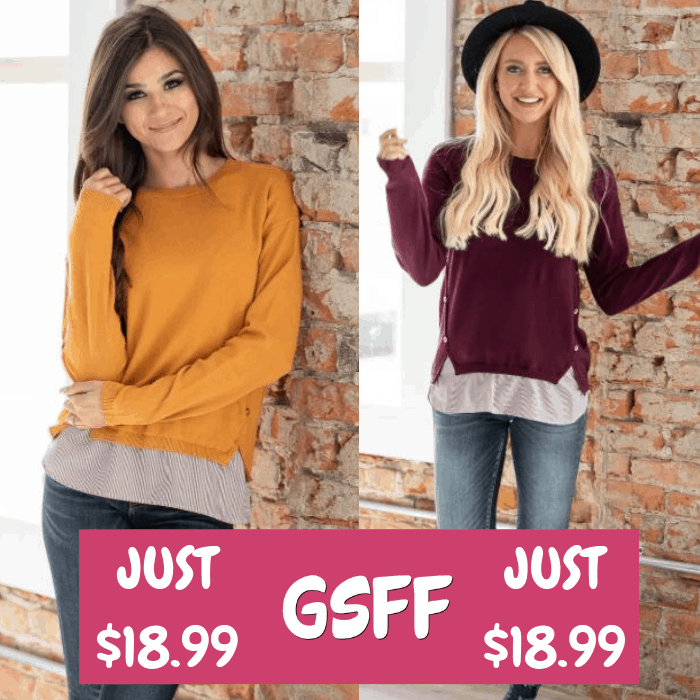 You are here: Home / Great Deals / Juliette Contrast Sweater Just $18.99! Down From $50! Shipped! Until January 12 only! Hurry over to Jane where you can score this Juliette Contrast Sweater for just $18.99 down from $49.99 PLUS FREE shipping! Add some class to your wardrobe this season with our Juliette Contrast Sweater! Both comfortable and trendy you’ll find a way to wear it with everything! This piece features a simple sweater top with a striped chiffon tunic bottom with button detail on the hips for a super flattering fit! Dress it up with a pencil skirt and heels or rock it casual with your favorite pair of jeans and flats!